KOPŘIVNICE (August 2, 2011) – TATRA, a. s., a traditional producer of world-famous heavy-duty vehicles for commercial and defence segments, announces that it has concluded agreements on cooperation with DAF Trucks N.V. Main focus of the cooperation is the supply of DAF manufactured engines and cabs for a new range of TATRA vehicles, as well as the distribution of these TATRA products by leveraging the dealer networks of the two companies. Also, as part of the agreements, DAF will acquire 19% of the shares in TATRA a.s.
“We began with the goal to design a new TATRA vehicle featuring the newest innovations of the unique TATRA chassis and applying the state-of-the-art DAF cabins and PACCAR engines. The project has resulted in a much wider cooperation, one that perfectly cultivates TATRA’s global strategy and at the same time adds to DAF’s dealer product portfolio. The fruit of this is an outstanding vehicle which responds to the needs of our most demanding customers and which will be delivered through a stronger and expanded TATRA dealer network,” said Ronald Adams, TATRA’s Chief Executive Officer and Chairman of the Board of Directors. The new TATRA truck, designed and built in Kopřivnice, will gradually become TATRA’s flagship product in the commercial segments. With its innovative features, it will deliver uncompromising performance and unrivalled value to customers in construction, mining, forestry, oil & gas and other segments. With this standard-setting product and its availability through the enhanced dealer network, TATRA expects to enter new territories and reach thousands of new customers. To drive its global sales strategy, TATRA will leverage dealer networks of both DAF and TATRA and utilize special financing products available through PACCAR Financial Services. 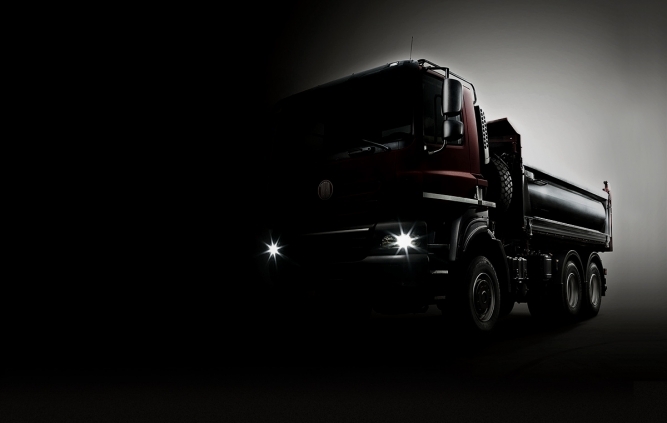 Further details regarding the new TATRA truck will be available at www.thenewtatra.com. Media representative for TATRA, a. s.